Hello again everyone! Part two of my trip to Owens Mesa. It was SUCH a hot day, so naturally I had to ride Swamp Loggers a few times. There's no way you're getting off this ride dry. I tried to get over to ride Specter for a second time but the queue was full to the gills! Bearded Dragon is by far my favorite family coaster. Time to go on it again! I love the La Baux area of the park. Its not as busy as some of the other areas and it has some great food and views. Working my way back into Escalante, I rode Gunslinger Swing, its pretty much as exciting as any swing ride is. Anyone want to play a hand? And this concludes my first trip report to Owens Mesa. I'm so glad to have this caliber of a park right in my home town! See everyone next time! 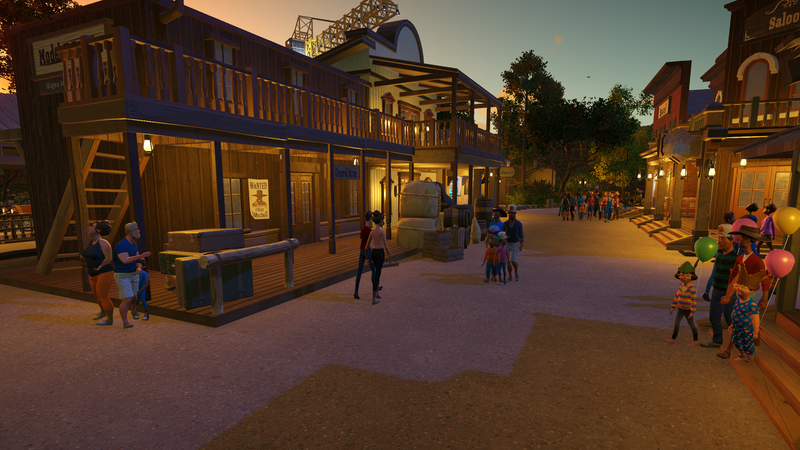 I think the scaling factor stems back to RCT3. I still think in 3m height when building in comparison to peepes. Thanks! Thanks! Who doesn't love the idea of a gas station where there may or may not be gamma rays cooking your body as you fuel up! Wowza that invert really goes for it. I particularly enjoyed the corkscrew into the banked curve before the zero g roll. 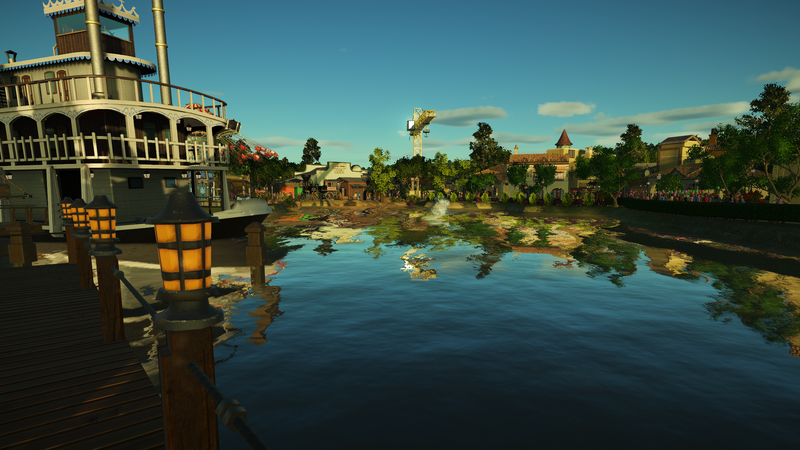 Love that view of La Baux area with the boat in the background - it's reminding me of Frontier land at Disneyland Paris and really makes me want to visit this park. Hey guys, Mike Smith here! I managed to get a small Q&A with the parks COO! I'm not quite sure why with a COO, but that's who answered my emails! Interview with Owens Mesa COO (Chief Operations Officer)- Liesel Hoover. First of all I would like to say congratulations with the new park, it seems to be up and running well. How is everything going so far? 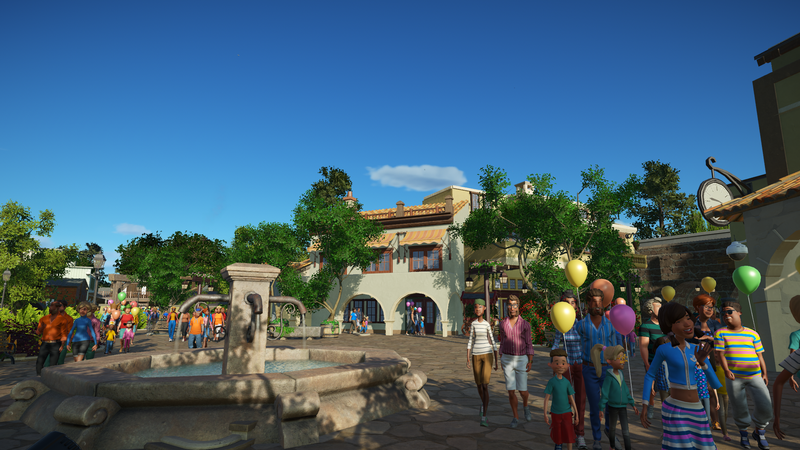 LH- Thank you, its quite and interesting experience watching an idea grow from a seed into an entire theme park. Everything is running smoothly. 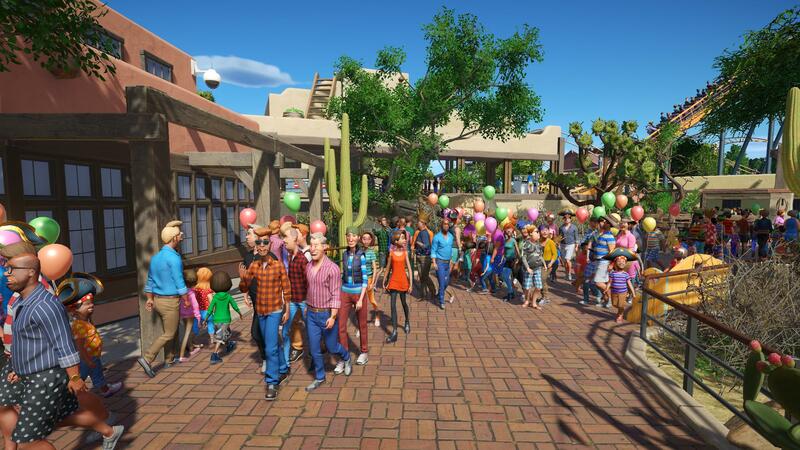 As any project when it first starts out, it has its fair share of glitches and bumps along the way, but all of us here at Owens Mesa are very pleased with the park; from conception, opening day, till today (almost the end of our first season). MS- How long did it take to complete Owens Mesa? LH- From the start of the design phase to opening day was about two-three years ((six months real time)). There were a few hitches on acquiring the land to build the park and the local county zoning board, but everything smoothed out and construction was on-time. 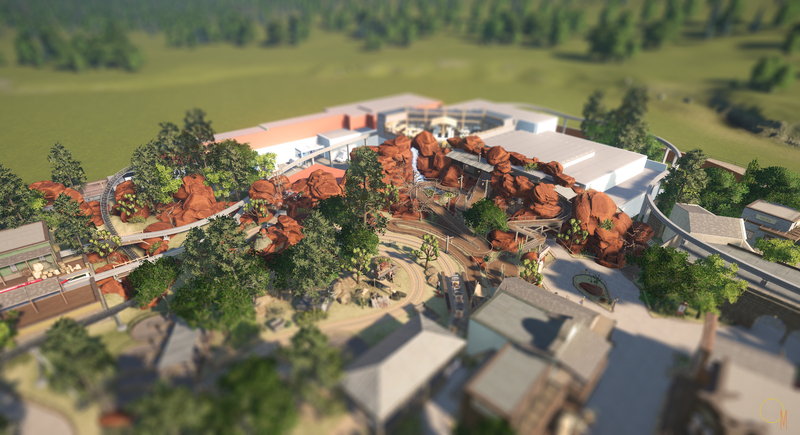 As for a completed park? 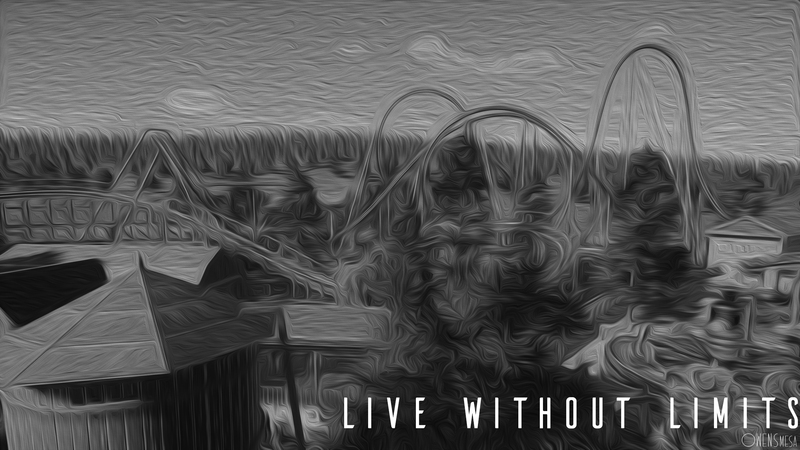 The park will never be completed as long as it stays open, its always an evolving life form so to speak. MS- Now your parent company is JC8? 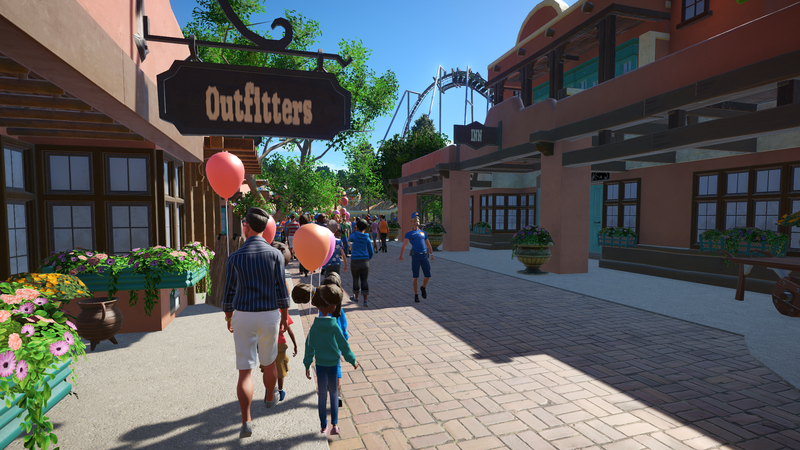 How have they nurtured the creative process on theme park designing? LH- They are the creative process! Unfortunately I lack said creative skills. All the design aspects come from the JC8 offices in Dallas, my team and I simply run the park. I have only worked for them for coming up on a year now, and they definitely know how to treat their employees. 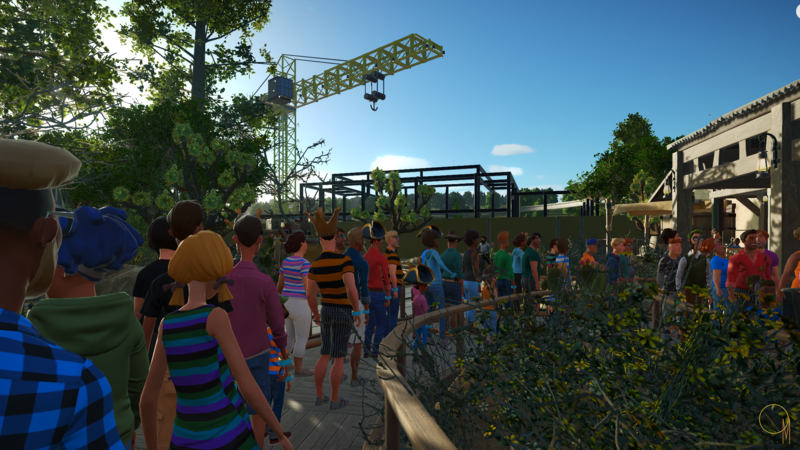 MS- What does the future hold for the park? 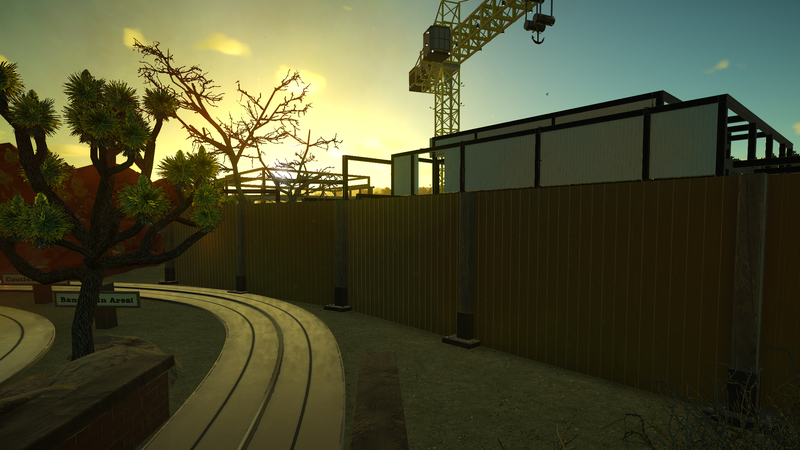 There are reports of construction already taking place. LH- Although that is not my department I can say a few things. 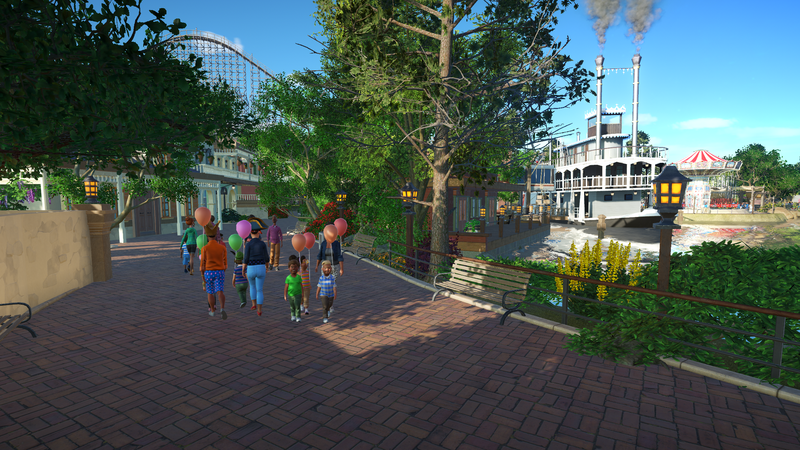 There is a master plan set out over the next six years ((six seasons)) full of new additions to the park. As for the construction? There was one attraction that never made it into the opening day line up due to manufacture delays and budgetary restrictions. Its quite a big one, and we got budget approval about midway through the park's construction, and decided to postpone the groundbreaking. It will open as a Season Two addition. MS- Thank for for taking the time for this short Q&A, I know you're a busy woman. 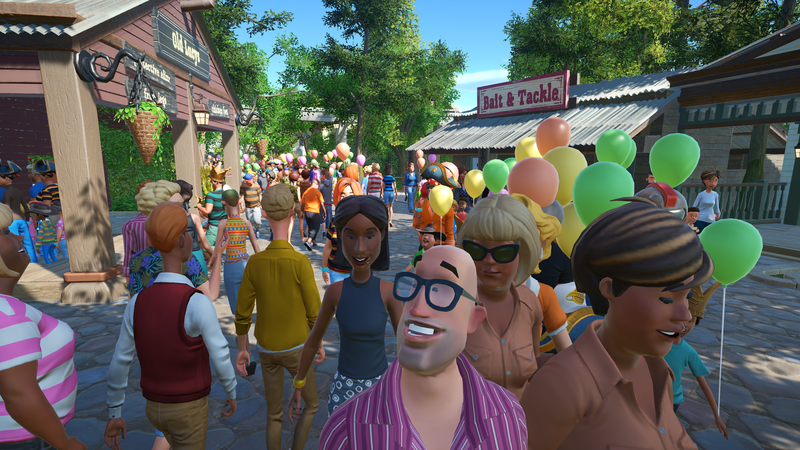 Hope to see you around the park! LH- I am always walking around when I'm not in the office! Thanks Mike. 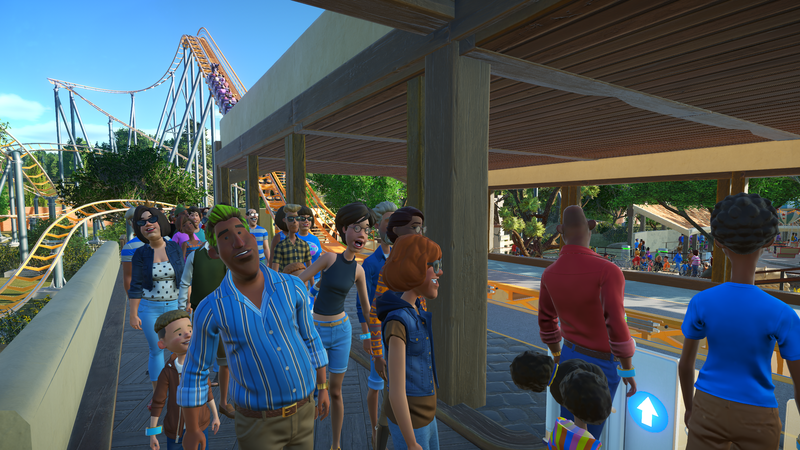 As for that construction, I managed to get a picture as I was queuing for Steamers. Thanks! DLP Fronterland is the most intriguing, for it breaks the mold a bit from the other Disneys. XB-1 looks amazing. I would definitely ride it in real life! Overall this park is fantastic. The detail is great, execution is top-notch; it all really comes through in the trip report. Sabash! That inverted thing is a great ride! I really enjoyed the video. Just a quick update I felt the need to share before I post my last trip report for the season in a few days. Its been only about a week since my last visit to Owens Mesa and the mystery construction seems to be rolling along full steam ahead! Seems like a warehouse of sorts? Got a ride on the monorail. The employee at the entrance said the monorail will be closing about a week prior to the end of the season. I see footers out behind The Outlaw!!! 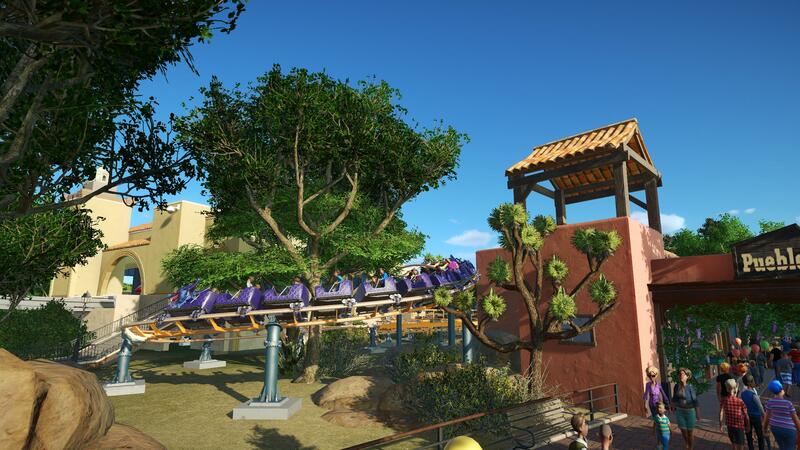 Are we looking at a new coaster? Gosh I hope so! I'm still editing all my pictures from my visit last night, so I'll post the update later this week! Thanks for viewing shy!! 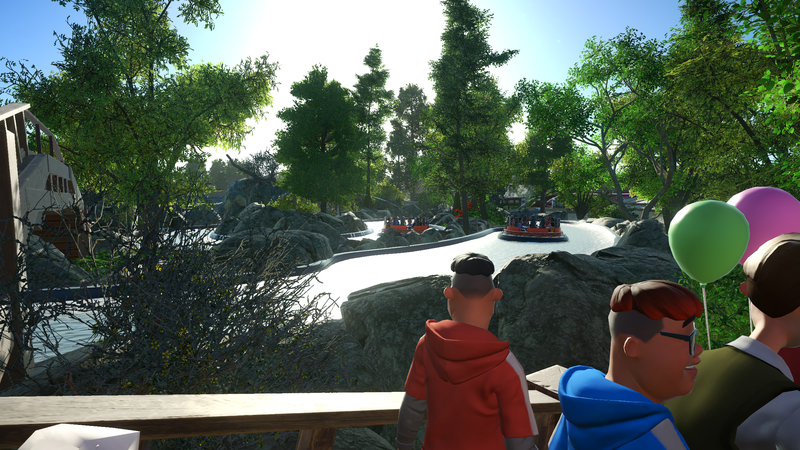 Another great perk with summer being around the corner is parks announce their next-season additions! I enjoy doing updates from different prospectives, it makes life a bit more interesting. Thanks bud! Much appreciated! I still have two more rides to make a video about, but they are smaller rides so I may roll them into one video. Oooh! I enjoyed that steel skeleton construction site! Great update! Can't wait to see what it becomes! WOW! I am deeply impressed by this park. I love everything I see and it´s so inspiring as well to watch your pictures. The area I like the most is the apocalyptic one with the inverted coaster. As season one comes to an end, we turn to our friend Mike Smith for a last trip report. Hey guys! As the first season of Owens Mesa comes to a close, I got in on my day off to get the last few pictures until next season. Naturally I ran over to Escalante to check out the construction progress. do I see a whole other building in the distance? Construction walls have gone up around the Mesa Express station. I'm assuming this has something to do with the new attraction? The crane is visible from most of the park. Did I miss the height balloon test? Not in the mood to get wet this morning, maybe later. However I am in the mood for some worms and voodoo dolls. I love this area of the park. In one of the shops they actually sell local artists turquoise jewelry. Always seems to bottleneck right here. Good for people watching though I guess. Our good friends at Morphie Gas off in the distance. Until next season all! Maybe I will be invited to do a winter hard hat tour! One can only wish. We all have Van Goghotoshop to thank. 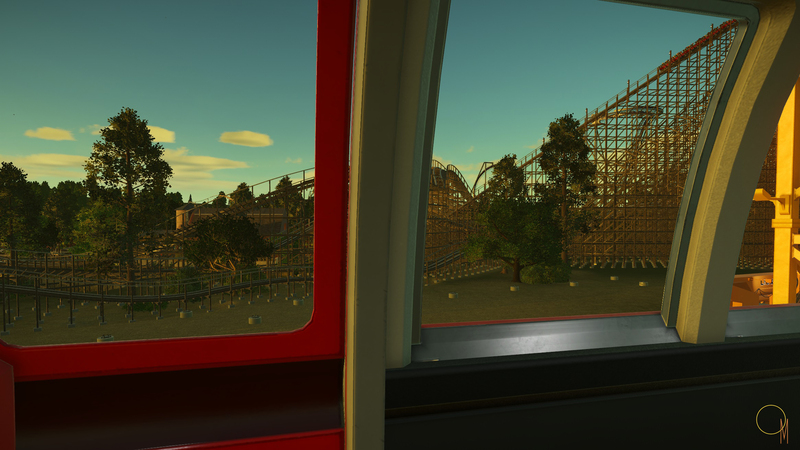 Yes, new from Premier Rides! Id suggest holding on when the zero-g hills come. I'm blushing! 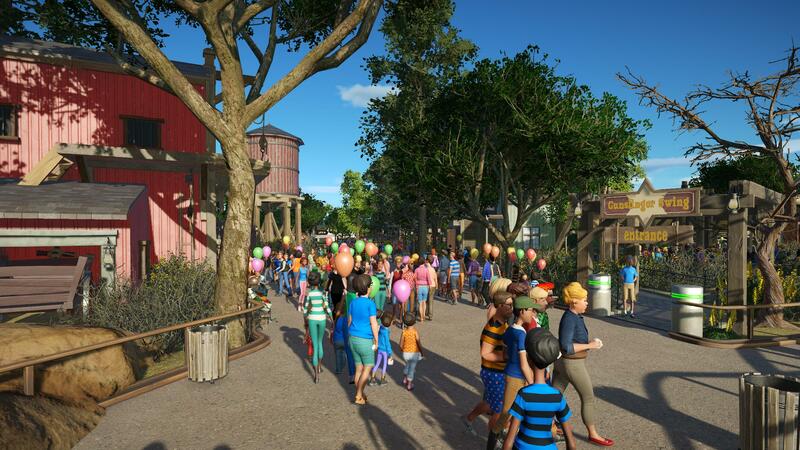 Yes every since way back in the height of RCT3 days I have wanted a realistic park as my baby and to nurture it season to season (so-to-speak). That specific area I am most interesting in expanding. My main source of inspiration for it seems to be the muse of plenty. Stay tuned! Love that shopping street!!! I wanna go there and buy some jewelry ! 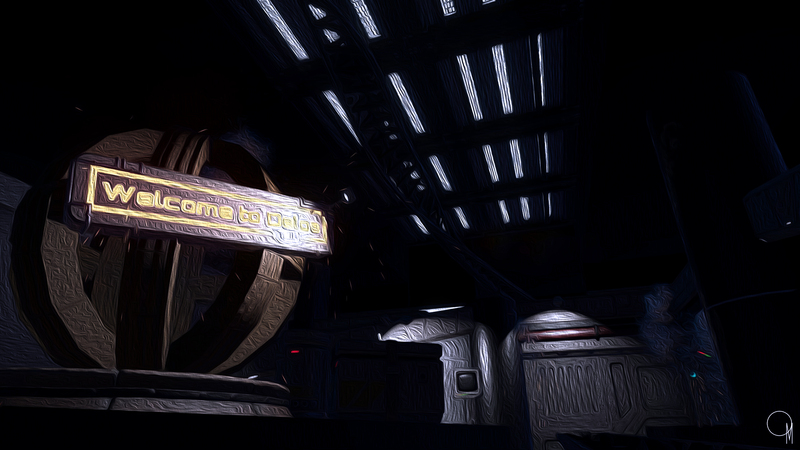 Simply to tease everyone, I have some new "concept art" photos for you. Haven't we seen that last image before a while ago? Delos? Is Westworld coming to Owens Mesa? Will it be joined by Romanworld and Medievalworld too? I can't wait. Pretty cool concept art. 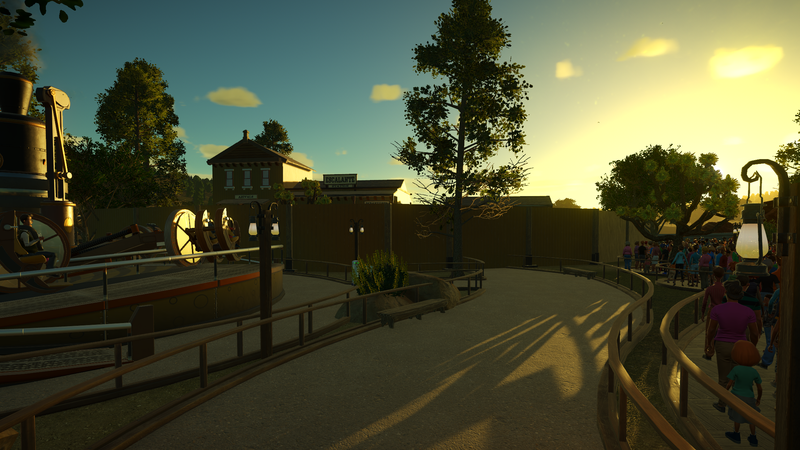 Looks like a much different style ride for this park. Unexpected, but exciting! 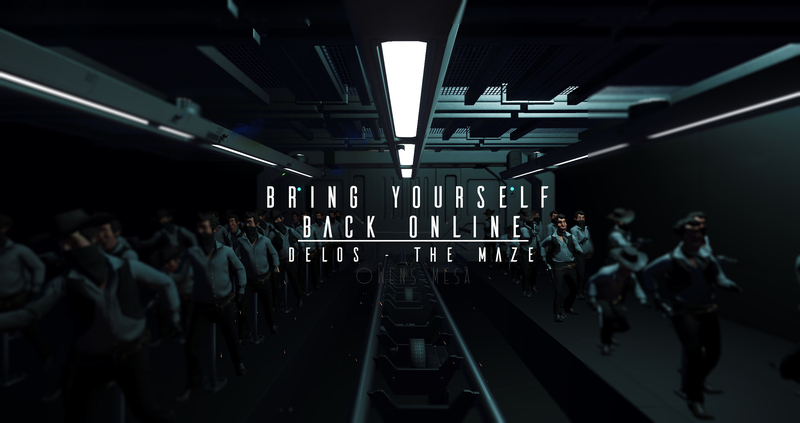 Owens Mesa - Delos: The Maze Announcement! Welcome to the World of Delos. Our hosts are here exclusively for you and your desires. 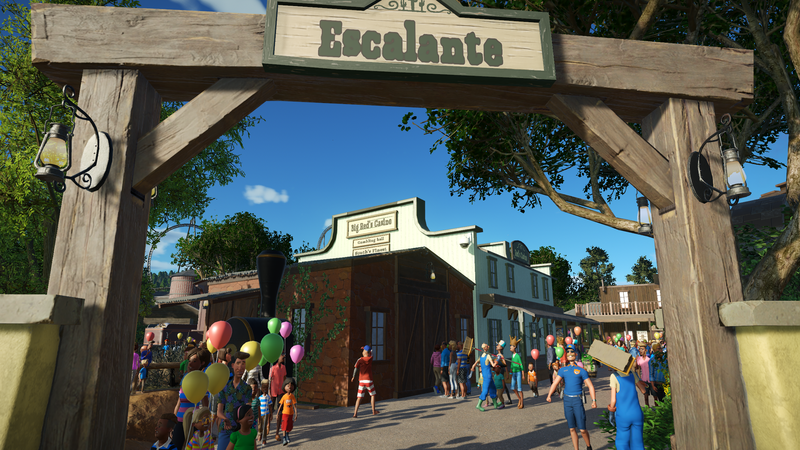 Escalante is our premier destination, offering an immersive experience where the world is at your fingertips. Enjoy the freedom to become what you've always wanted to be. We look forward to serving you. 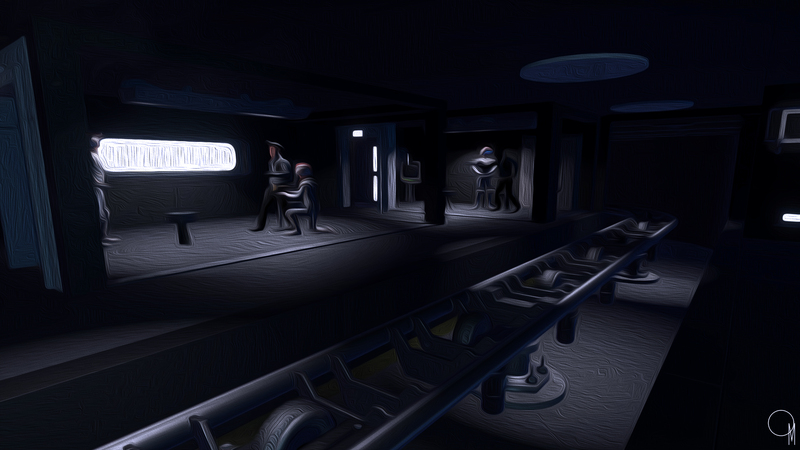 Hop on board the trains and journey through the halls of Delos. Witness the "Hosts" creation, programing and even what happens when they are decommissioned. A word of warning: some hosts have been exhibiting strange behavior. Incoherent babbling about their "makers" and story lines not in their programing. Hosts suspected of rogue behavior have been decommissioned and put into cold storage. This area is strictly off limits to guests. 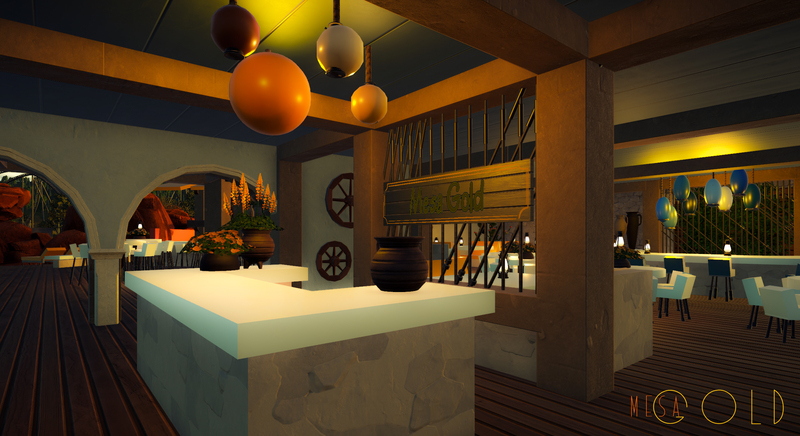 Delos: The Maze is an action packed, indoor-outdoor launch coaster, inspired by the hit TV series Westworld. Reach speeds of 74 mph and dive into several adrenaline pumping inversions as you blast your way out of the troublesome "Hosts" destructive paths and into The Maze. Mesa Gold. 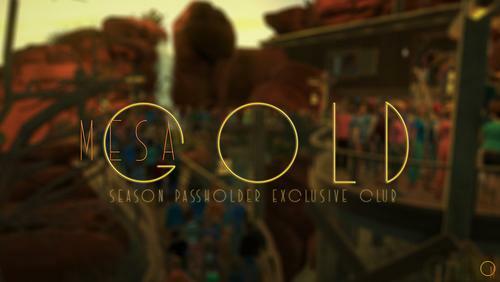 An exclusive club strictly for top-tier season passholders. Mesa Gold offers flagship dining, featuring world renowned chefs, and a rooftop bar boasting breathtaking views of Escalante. Dine and drink in elegance. Membership information coming soon. 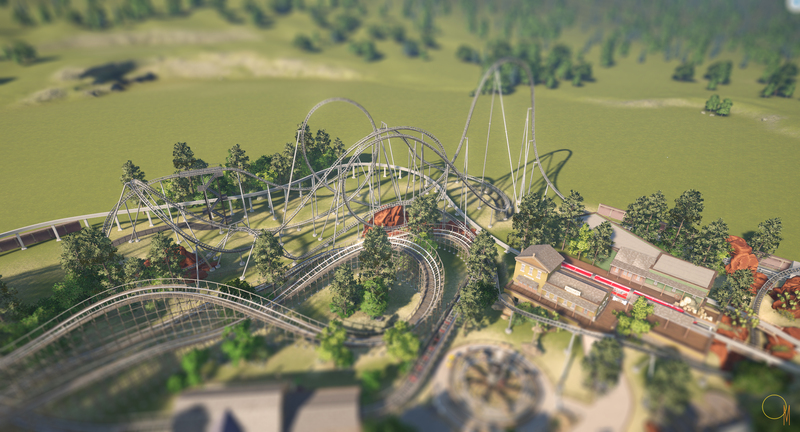 I'm trying not to just have a one note park by adding more dynamic attractions. Lets hope it pays off! Re: Owens Mesa - Delos: The Maze Announcement! You are so good at making teasers! I want more! Mesa Gold looks nice so far. 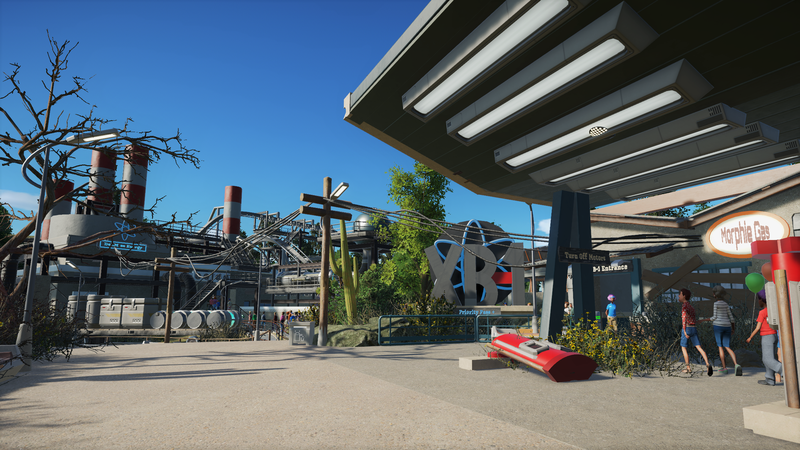 It fits well with the current style of the park. Delos - The Maze POV released! Amazing ride with a great story and atmosphere! You did a really great job on this one! 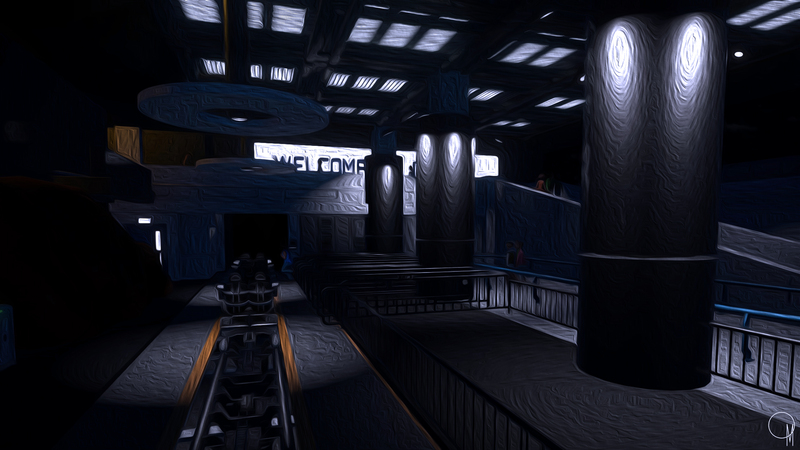 Not bad, I like some effects in the darkride part. The layout is smooth and very funny, well done. Next time you should record by help of the cheat engine, the framerate of the video is very low. Very clever interiors of the Delos-The Maze. Of course, I'm in awe of your Mesa Gold interior. I love me them good interiors. Delis the maze was spectacular! I love how it looks and the detail you put into it! Delos - The Maze Full POV! 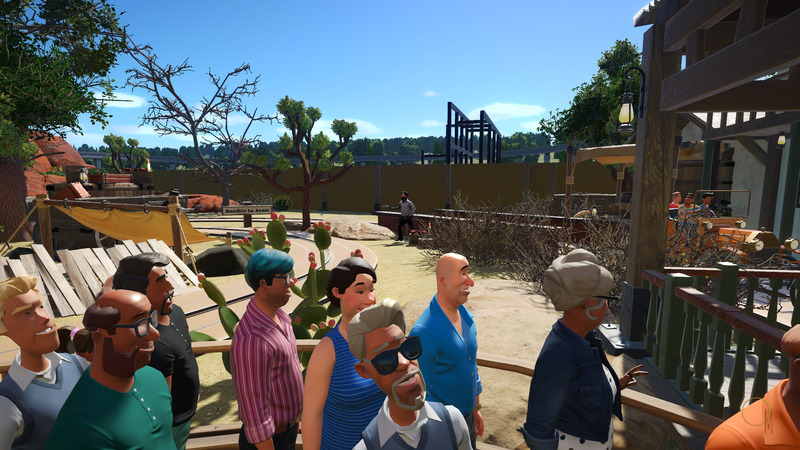 A full length POV has now been released featuring the ride queue and daytime scenes! It will be open to all season passholders, HOWEVER, it is a 5k a year upcharge. From the photos we have seen, the club seems rather adult oriented so I guess the charge is to keep away the youths. Time will tell. I hate when windows yells at me. I keep telling myself to turn it off, then I forget. Ive grown to accept my fate and befriend the little chirp (or whatever it is). Thanks for the advice on YouTube as well! Im not the best with videos, but slowly learning. As you may see, my transitions are a bit rough. I'll get better!! Thank you! The whole idea of a premium club resonated within me I guess. And just from past builds, interiors are my enemy. Just here to drop off some recent acquired aerial drone shots of the park. 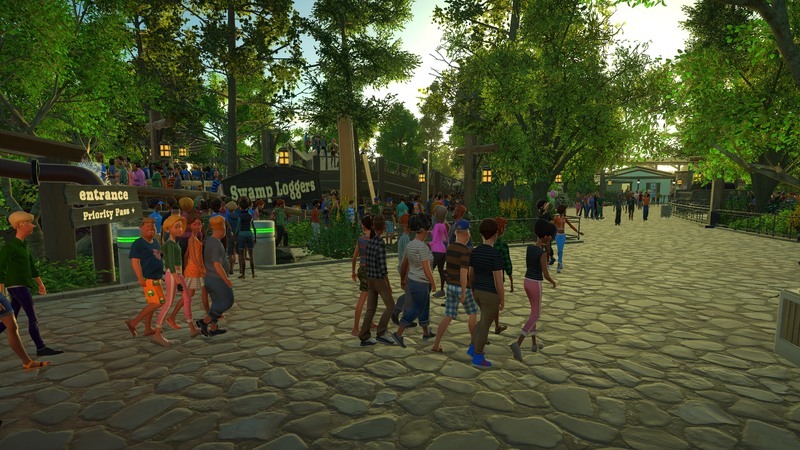 Not many, but mostly to show off the footprint of the new Delos- The Maze attraction. 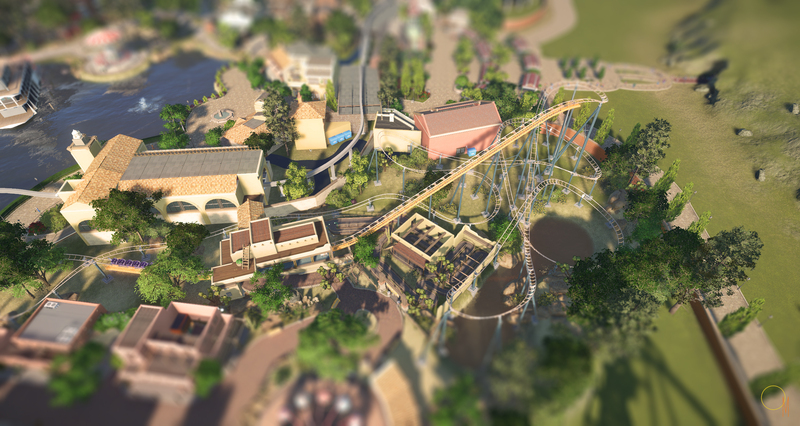 We haven't really explored the parks "family coaster" Bearded Dragon, so an aerial shot of that was also included. 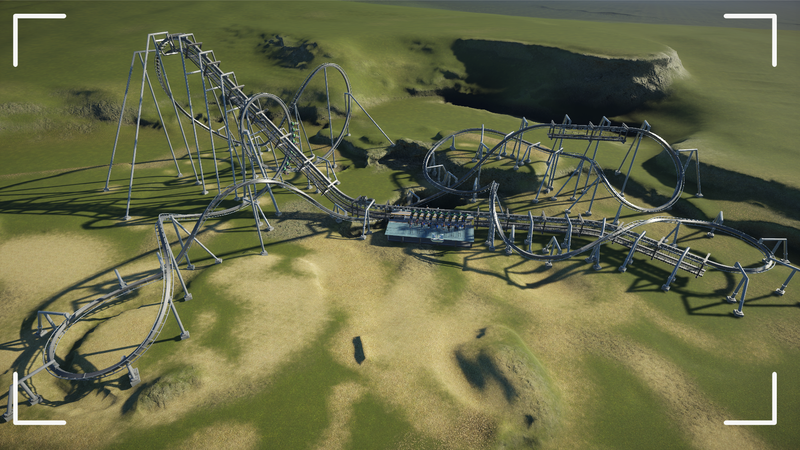 Its a great Vekoma custom Junior Coaster, much larger than their other mass produced models. 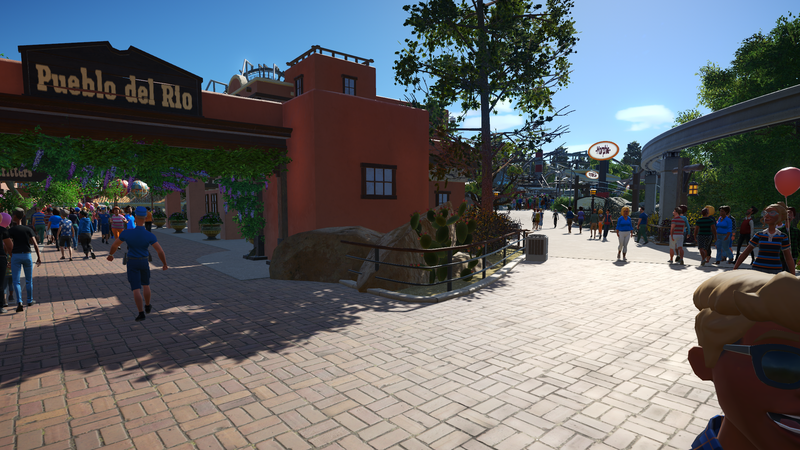 An overview of the outdoor ride of Delos. I have yet to ride it but it sure looks thrilling! AMAZING! Great architecture as always. I really like the area surrounding Delos. Keep up the great work! I'm a big sucker for these kind of pictures with the middle in focus and the rest a bit blurry (I have no idea what the official photography term is). 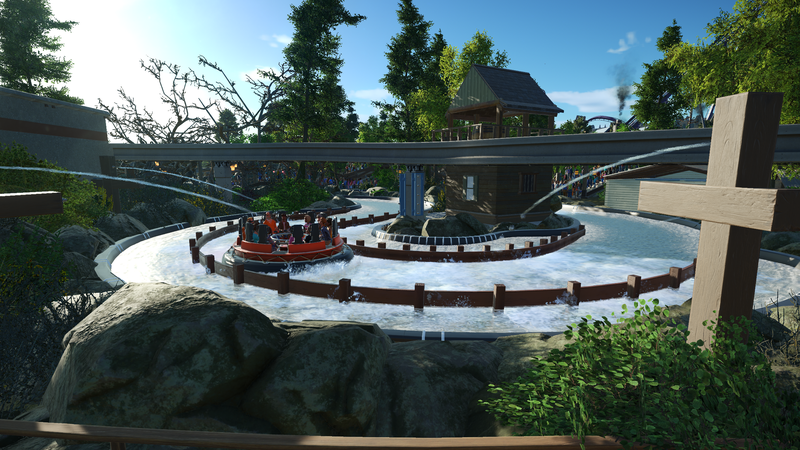 Most of all I just really love the look of every coaster interacting with the scenery! 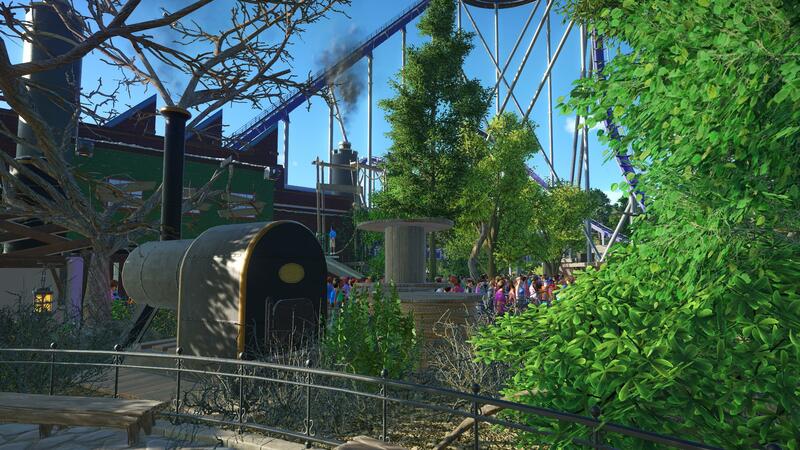 It's really nice to see the path interaction of the kiddie coaster with the path and I also really like how Delos is so close to the wooden coaster. The rockwork facade for the Delos show building is phenominal! Everything just fits really well with each other.